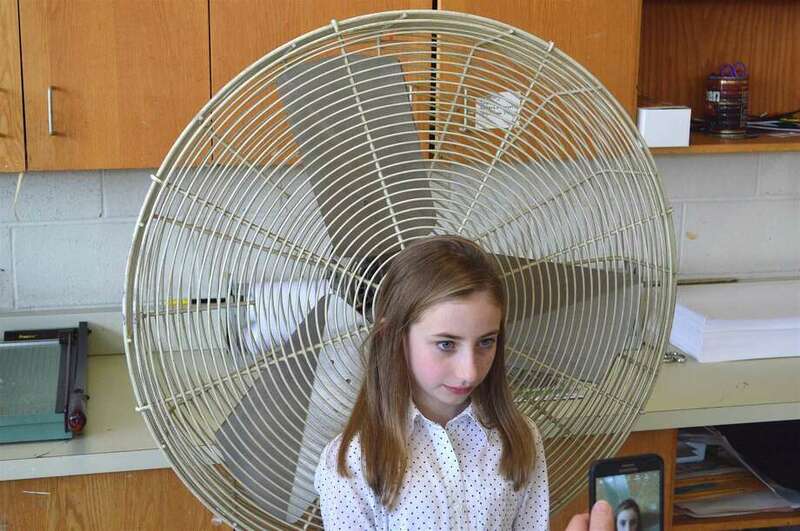 Alessandra Gavriloiu, 9, of Westport, poses for a composition at a workshop on smartphone photography at the Darien Arts Center, Saturday, February 18, 2017, in Darien, Conn.
DARIEN — A workshop on smartphone photography Saturday afternoon, held at the Darien Arts Center, gave kids and their parents a chance to see art with a new eye. Instructor Sam Morrow, a Bridgeport painter, taught the group about composition and color, also allowing room for creative exploration. The arts center is also accepting submissions for a Smartphone Photo Contest through Feb. 27. There are no restrictions on age or residence to enter, and photos don’t have to be taken in Darien.